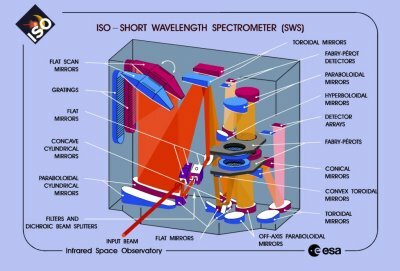 The Short-Wave Spectrometer (SWS) covered the 2.4 to 45 μm band. It has provided valuable information about the little known chemistry of the Universe, since many molecules emit copiously in the infrared. Moreover, SWS has been able to find out the physical conditions of those chemical constituents, such as temperature or density.